I am not a designer. I don’t do branding myself. However, I do manage website projects all the time. Usually we start from scratch, so we need a process and as you know every process needs a checklist. This time we will go through a very simple and efficient way of creating branding for a small client. I know there is a more detailed way to approach this process, but I think we’ve all been here: the budget is short on, but you want to create something that’s beautiful and most importantly satisfies the client. This checklist covers this specific case. I wrote this together with Vasil Nedelchev, my colleague at Evermore and the best mediocre UI/UX designer I know. Please check out his stories, they will truly inspire you. There are so many ways do to this. I can only recommend to use the Design Personas by Aaron Walter, but this requires a lot of investment from all parties involved. Sometimes the client just doesn’t have the time or they simply doesn’t want to play ball. In that case I’d recommend using a bipolar chart. This is a simple exercise that’s easy to understand and quick to conduct: you just need to draw a couple of circles on some charts. When doing this exercise, make sure you take note of any other adjectives the client uses to describe their brand. Those might come handy later. After you’re done with the bipolar chart, try and write down what you’ve came up with in a couple of sentences. Write about the brand as if you were describing a person. 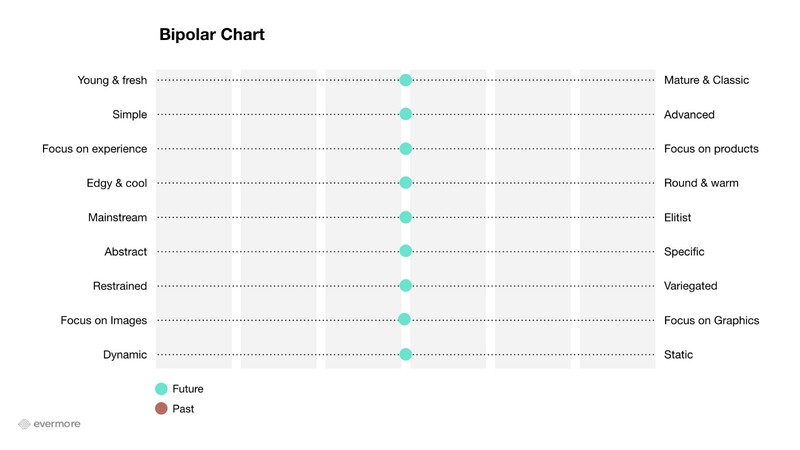 This is a good time to use any other adjectives that are not on the bipolar chart. Based on your little characterisation, it’s time to create some moodboards. Try to think of at least two directions for the client to choose from. You only need Google for this one. Search for photos of products, people, interiors and objects that convey the feeling you want to achieve. It’s also a good idea to mix in some colours or colour palettes at this stage. Once your client has picked the right moodboard, you can go on to look for some specific examples. Browse Dribbble and Behance to select some possible directions. Try to remain in the subject area: don’t show the branding of a tattoo parlor to a daycare. It’s important that you lead the conversation and show some viable directions for the client to choose from. Pick what you believe will work best, don’t ask them to gather inspiration from around the web. Once you have picked at least 5–6 logos/UIs/websites, ask the client to select their favorites. Now this is the time to be creative and the time for me to move to the background. Use the the designs picked by the client and all the things you’ve learned in the process to create something beautiful. It’s on you now. Just one more thing. 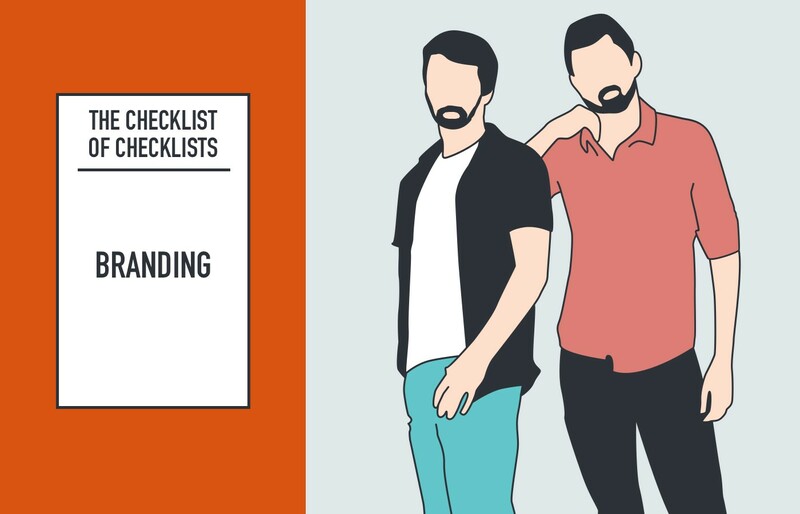 When you present your final design, make sure you add each of these steps on a slide. This way you will be able to communicate your thought process and the whole thing will make a lot more sense to the people listening to you. Good luck. You see what you did there? You started out with a couple of words. You turned words into visuals. Then you translated those visuals into designs and based on those designs you created an actual thing your client wants. This really is just a funnel, a branding funnel. Nice.